What is church discipline? Should it still be practiced in our culture? Should anyone be dismissed from church membership? Is it about politics? Is it about restoration or purity? Is it about man or the holiness of God? There is a Biblical model of church discipline with specific principles that too often have been neglected or abused. 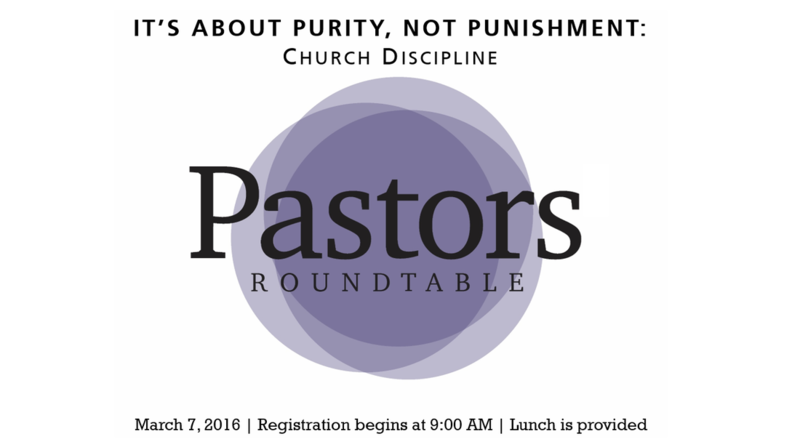 Join us on March 7th as Pastor Steve Pittman addresses this issue at the Pastors Roundtable.